The ergonomic education of the dental health-care personnel must focus on the considerable occupational health risks. Aim. 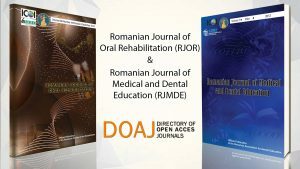 The aim of this study was to assess the dentists’ knowledge and attitudes towards ergonomics during dental health-care. 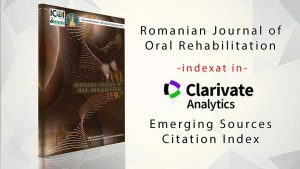 Methods A questionnaire-based study was conducted including 152 dentists (72,4%-females, 27,6%-males) aged between 25-65 years, from North-Est Region, Romania. The questionnaire included 13 questions related to ergonomic practices in the dental office. Data were statistically analysed using the SPSS 14.0 program and chi-square test (p<0.05). Results 51,3% of the dentists work 4 to 7 hours and 34,9% work over 7 hours per day. The majority of the subjects appreciate that ergonomics does not imply loss of working time-70,4%. 50,4 % of the dentists collaborate with a dental assistant which is involved in the application of the Four Handed Dentistry in 38,8% of cases. 83,6% of the subjects consider that post-graduated courses are important for their ergonomic education. One third of the dentists-30,9% adopt a orthostatic position and 19,1% use the sitting position during 90% of the time of the working day. The patient is positioned in sitting or horizontally position over 90% of the working time by 17,8% and respectively 14,5% of the dentists. The subjects indicated musculoskeletal disorders affecting the cervical spine-52,0%, the lombar spine-52,0%, the right shoulder-26,3% and the right arm-8,6%. The main symptoms included pain-71,7% and functional limitation-27,0% and imposed medical examination-39,5%, medication-33,6% and rest for one or more days-29,6%. 44,1% of the dentists practice physical exercises once and 33,6% twice a week. Conclusions Dentists’ knowledge and attitudes towards ergonomics should be improved and updated by educational programmes in order to reduce the incidence of occupational pathology and improve the quality of the dental health-care.